What types of peels and what they are for? There are a lot of different types of peel depending on active ingredients (mandelic, lactic, TCA, glycolic, salicylic, Jessner’s, retinol, phenol, enzymes etc) in a different concentrations. Also, can be combinations of peels. Lactic acid – AHA (alpha hydroxy acid) type, which naturally ocures in human bodies, therefore we observe rare allergic reactions to the peel. Naturally, lactic acid removes superficial congested skin layers, including superficial pigments and stimulate collagen prodction. Salicylic – is BHA (beta hydroxy acid). Salicylic acid peeling molecules are large and oil dissolvable, therefore SA can’t penetrate normal healthy skin. In the environment of oily skin, prone to acne, oil congestions, it dissolves oily clogs inside the skin, bringing it up closer to the surface together with dead skin, hardened oil in pores and trapped seborrheic glands oil. Sometimes it can cause break up of acne after the SA peeling, but it does reduce inflamation of the skin and clearing the skin long term. How deep chemical peels work? Your skin is different under eyes, on chin, lips, forehead etc – therefore VISTA clinic Australia Melbourne cosmetic clinic has a lab of different peels and we use different peels on different areas of your face. Such individually tailored approach ensure best results for our patients. We call it “Dr Miller peel”. the name is self description. Superficial, dead skin removal only. It helps for skin to look more even, fresher, smoother and grow more easily. Also, your skin care products are working more efficiently with better absorption. It is not painful, lunch time procedure with no or minimal down time. 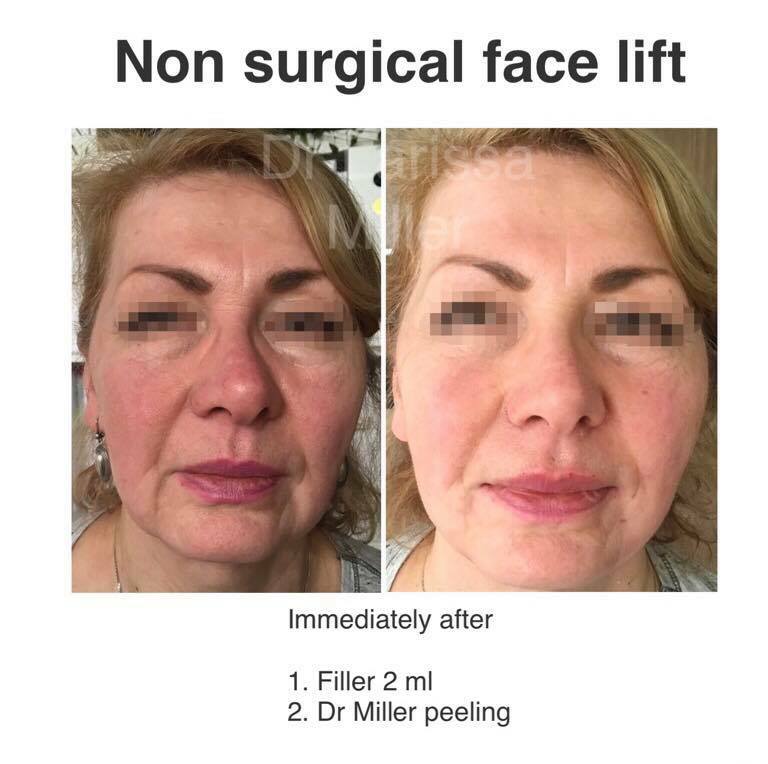 However, if right peel is used for right area of the face, and you do this regularly, you will achieve similar effect as doing more invasive peel fewer times. Complications of Superficial Peels are very uncommon. Examples are mandelic, glycolic, salicylic, lactic, peppermint acids. However, some peels can be superficial, medium and deep, depending on concentration, pH and time of exposure. Sun smartness, sun smartness, sun smartness. We can’t overemphasise important of ultraviolet exposure in skin aging, especially after treatments. New skin initially is in regenerative phase, therefore important good diet, reduce smoking, sun and other oxidative stress factors. It’s ok to walk, if UV level below level 4, and with a good sunscreen, applied regularly (2 hourly), but no sunbaking (even if you use sunscreens – it doesn’t protect you completely). Most dangerous for skin aging and skin cancer Ultraviolet A can penetrate through glass, therefore use sunscreens indoors or in your car also. Ask your doctor to help to find most suitable sunscreen for you. Chemical Peeling is a skin peel cosmetic procedure in which a chemical solution is applied to the skin. Depending on the active ingredient, different actions (pigmentation, freckles, brown blotches, sun damaged roughness, whitening, acne, pores reduction, wrinkles improvement, color brightening etc). All chemical peels “cleaning skin surface” by peeling superficial layers off, making skin to rejuvenate and regenerate easier. Our Melbourne cosmetic clinic has own lab with over 100 different chemical peels to meet needs of every cosmetic client. 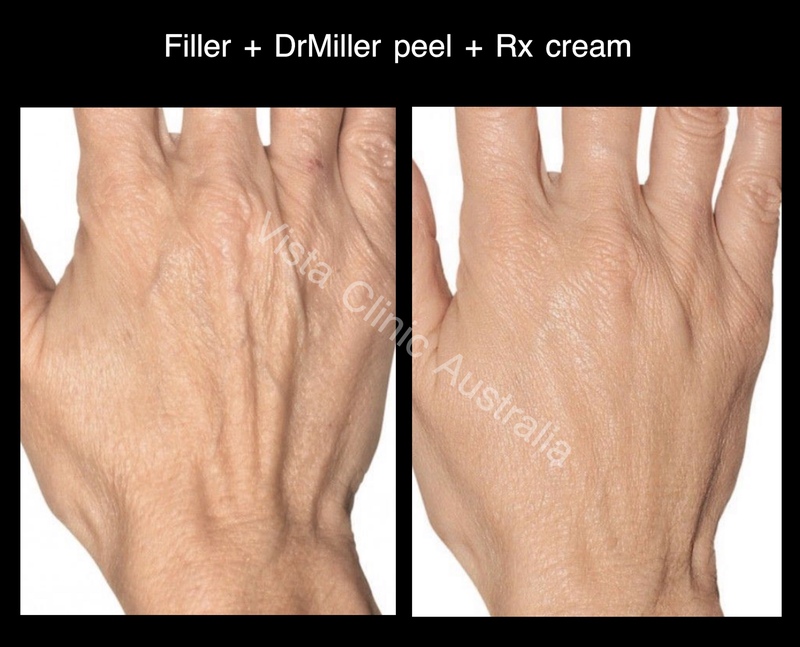 What is different about Dr Miler peel at VISTA clinic Australia Melbourne? 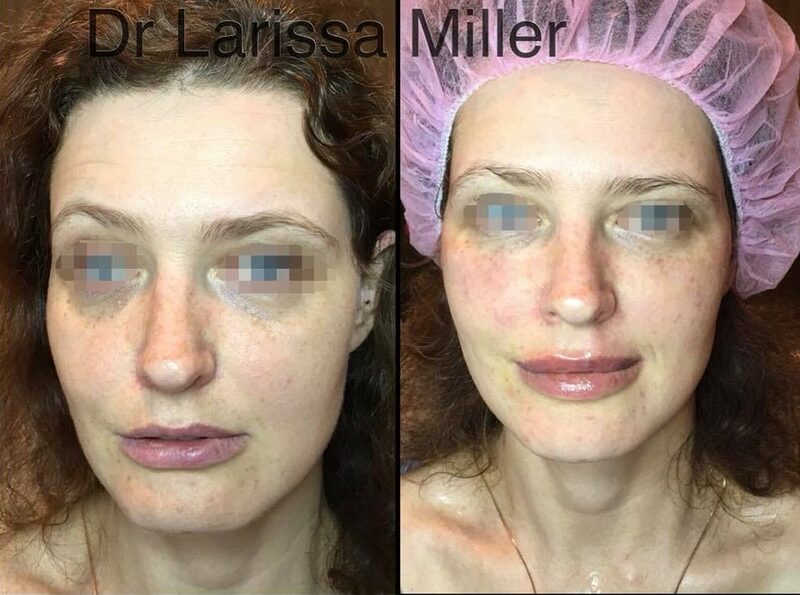 Own peels lab with all concentrations of almost all peels and post peel medications. There is no 1 “magic” tablet for all diseases, and there no 1 chemical peel which could solve all cosmetic problems of the face. For example, under eyes area often needs tightening of fine wrinkles, T-zone needs reduction of pores, cheeks need to clear skin pigmentation, nose need to improve redness etc etc.. Naturally, cosmetic doctor or dermal clinician/beautician will use different peels and it’s concetrations for different areas of your face. Our Melbourne clinic is proud also to use a special machines and devices to help in the most accurate assessment of skin. 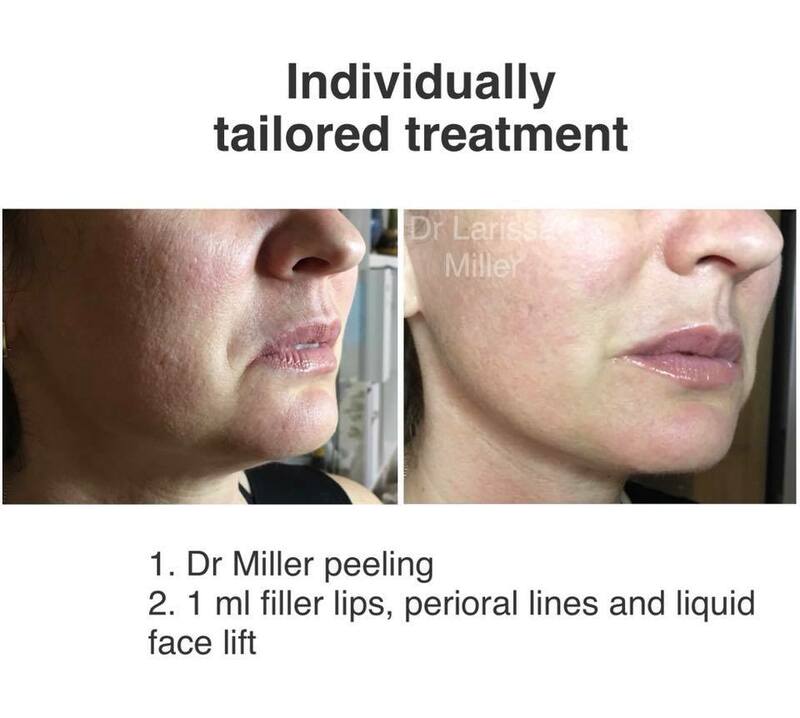 Dr Miller peels are individually tailored best % and active ingredient peel for different areas of your face/neck/body. 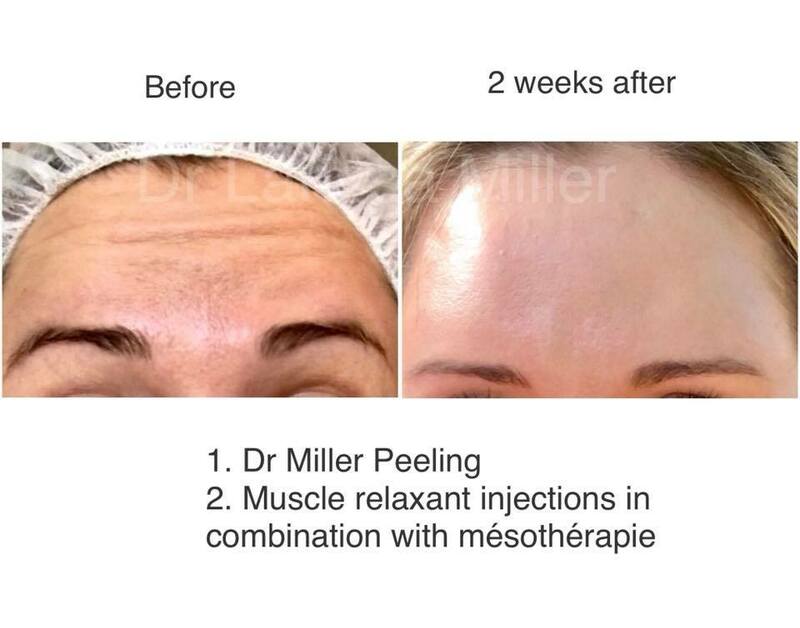 Commonly, Dr Miller peel include 5 or more different peels mixed on some areas or applied in different areas. Such individual approach ensures the best cosmetic results, as good as it can gets. 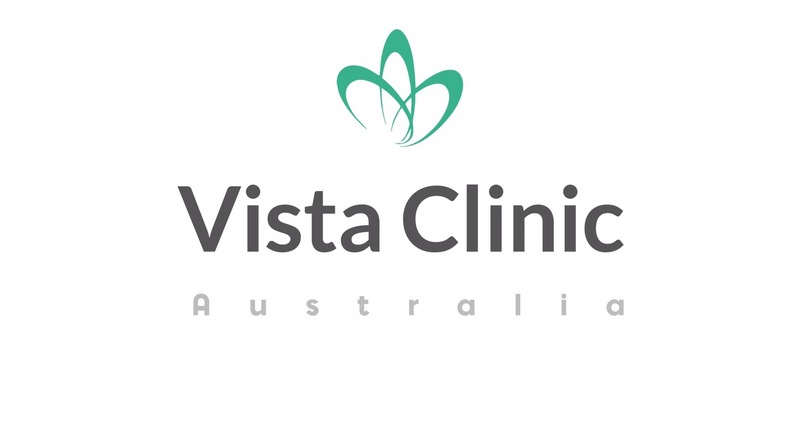 *Conditions and contraindications applied, VISTA Clinic Melbourne experienced doctor will discuss best cosmetic treatments for you. Retinoid acid – is pro-vitamin A ingredient. In survey of USA dermatologists, this ingredient was agreed as the best for making skin younger. It rejuvenates DNA mutations, reduce sun UV damage on skin, stimulates cell turnover, improved microcirculation, increase collagen and local immune system, making skin behaving like a young one. Additionally, it kills harmful bacteria. Retinoids are contraindicated in pregnancy or planning pregnancy patients. The peel is being left on the patient’s face overnight (doctor will give you exact instructions, usually from 6 to 10 hours). TCA – trichloracetic peeling can be used for very different purposes. At small concentrations of 10-20%, this peel has been used for many years for anti-wrinkle, pigments improvement, skin smoothness. 100% can be used as a pin point highly skilled procedure for scar treatments. What chemical peel is the best and what you use at your clinic? There is no 1 tablet for all diseases and no 1 “magic” peel, which treats it’s all. The best approach is to visit experienced and well trained cosmetic medical practitioner in Melbourne, who will help to choose most suitable peel for your individual skin. Speaking figuratively, pizza has different ingredients all together, and similar our faces accumulate different problems together also – it can be redness with pigmentation, sun damage, pores, acne, wrinkles, all mixed together at the same time. 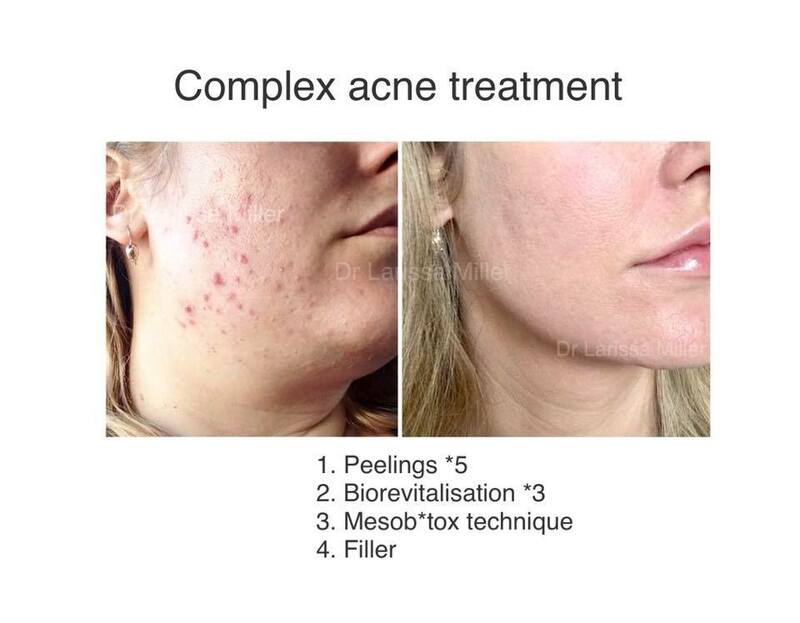 VISTA clinic Australia Melbourne cosmetic clinic has a small lab of different chemical peels of all concentrations, allowing to use different peels on different areas of face, depends on skin need. Medium peel is acting deeper, therefore level of discomfort is higher as well as downtime. We usually prefer to use it on areas of your face/body which requires deeper acting treatment – for example, acne scars, post acne spots, deeper lines (for example, mimic lines around mouth, called smokers lines or kiss lines), it helps to improve pores and resistant sun damage spots. After procedure, skin will felt tighter, brown spots may be darker initially, and in general skin more pink. Peeling starts on day 3 or 4 and continue up to 7th and 8th day. Important not to peel off actively crusts to avoid hyperpigmentation. Just moisturise actively, use Paw paw or prescribed by doctor cream. this is resurfacing of skin treatment with strongest action and most side effects. Rarely used, but help with acne scars, pores, topical wrinkles improvement.